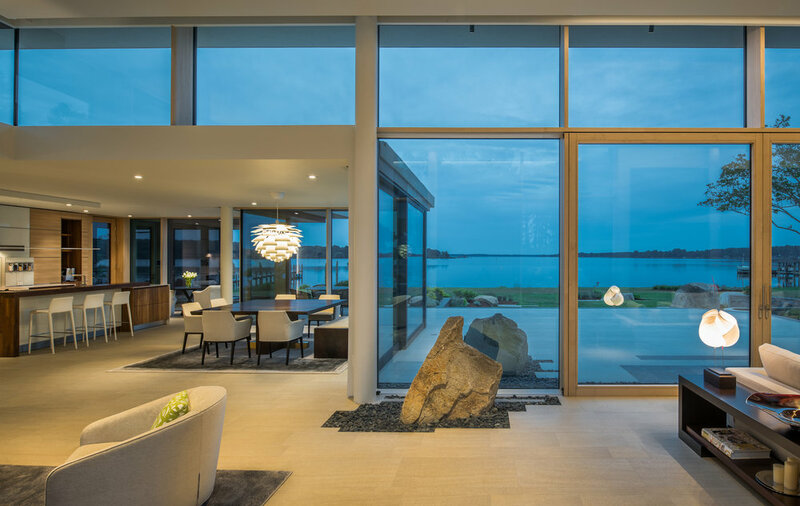 Randall Kipp and team will be honored at the International Property Awards in association with Salice at The Toronto Marriott Downtown Eaton Centre Hotel on September 20th for their project called Tidewater. 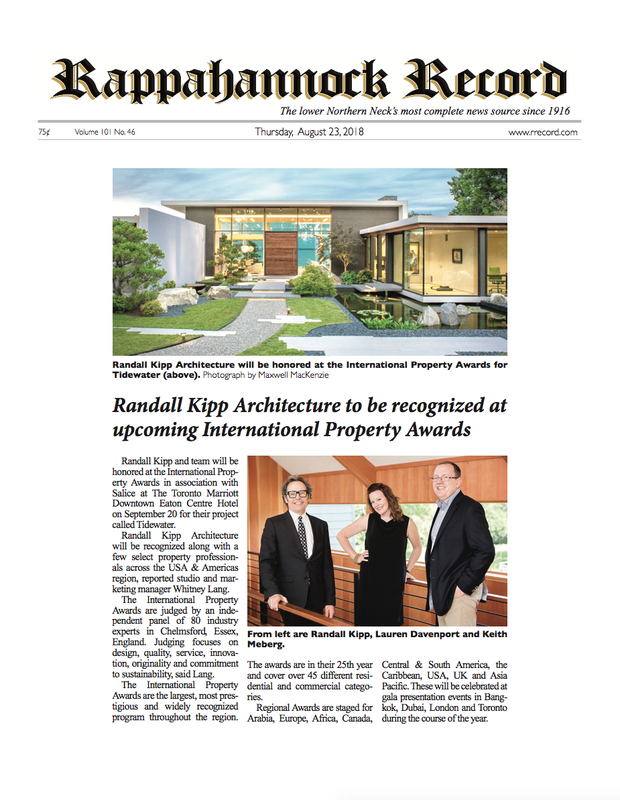 Randall Kipp Architecture will be recognized along with a few select property professionals across the USA & Americas region. The International Property Awards are judged by an independent panel of 80 industry experts in Chelmsford, Essex, England. Judging focuses on design, quality, service, innovation, originality, and commitment to sustainability. The International Property Awards are the largest, most prestigious, and widely recognised programme throughout the region. The Awards are in their 25th year and cover over 45 different residential and commercial categories. Regional Awards are staged for Arabia, Europe, Africa, Canada, Central & South America, the Caribbean, USA, UK and Asia Pacific. These will be celebrated at gala presentation events in Bangkok, Dubai, London and Toronto during the course of the year. 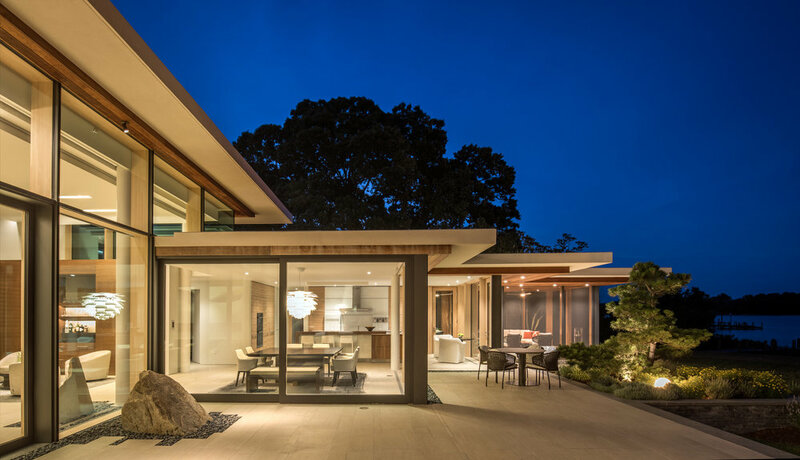 View images of the award-winning home here. 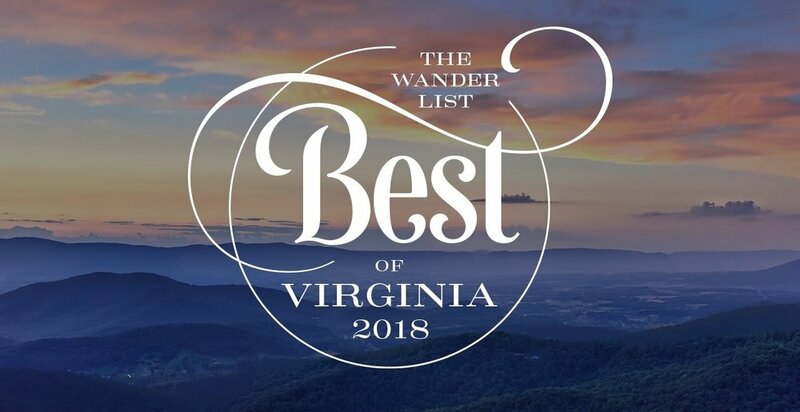 A huge thank you to our friends at the Rappahannock Record for sharing the news!